The Practical Pocket Guide to Account Planning provides a straightforward, no nonsense approach to understanding what Account Planners do on a daily basis and how they do it. 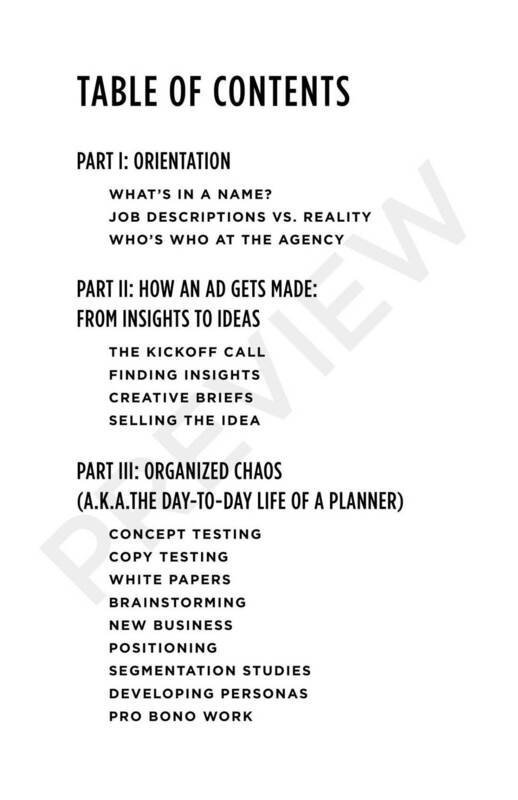 Filled with real world examples, amusing anecdotes, and useful techniques for getting to better insights, The Practical Pocket Guide provides a clear path for how Account Planners can collaborate with Creatives to produce great work that is insightful, engaging, and culturally infectious. 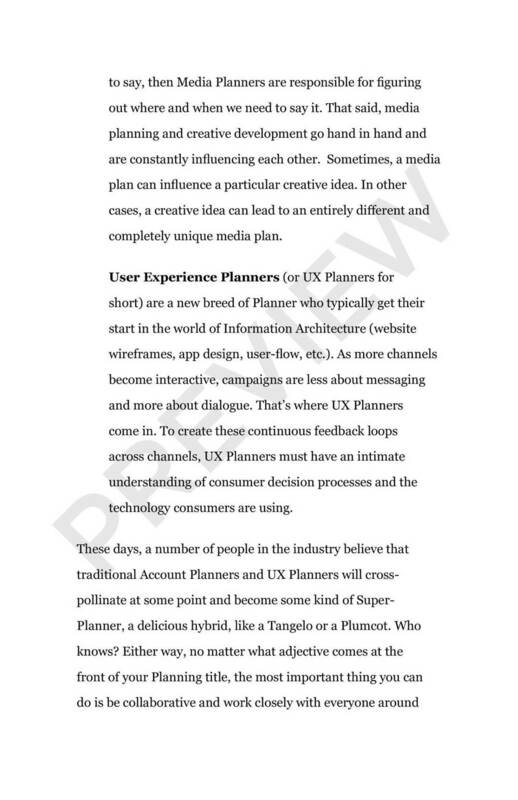 Whether you're a Client, a Creative, an Account Manager, or an aspiring Account Planner, this book will help you understand how Planners think and what great Planning can really do.